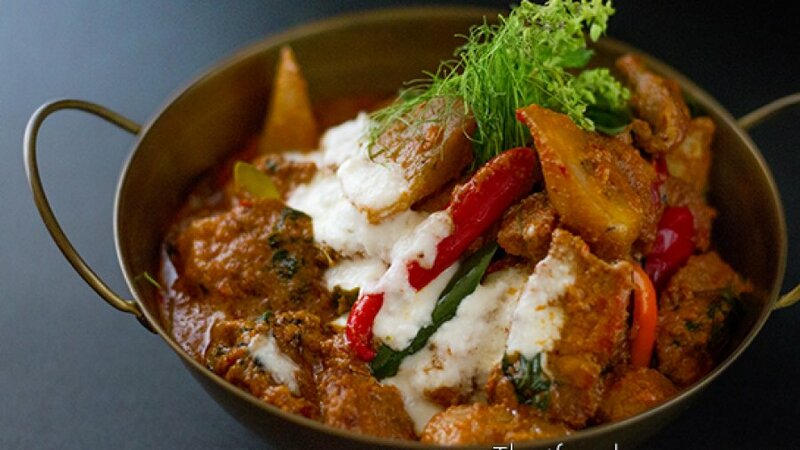 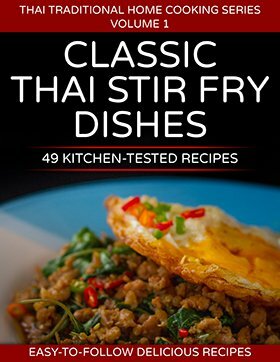 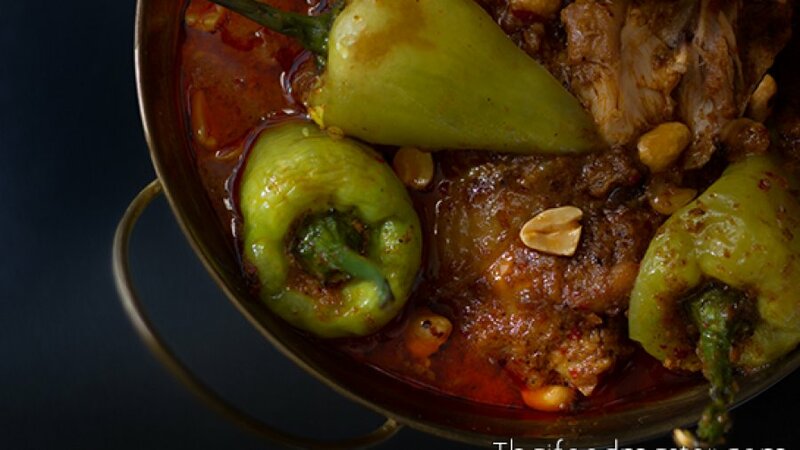 Gaeng som recipe: Sour curries are without doubt one of Thai cuisine all-time favorites, free from foreign influence and with many regional variations they present a complex balance of four flavors while using only few ingredients, all find a pleasing harmony in one dish. 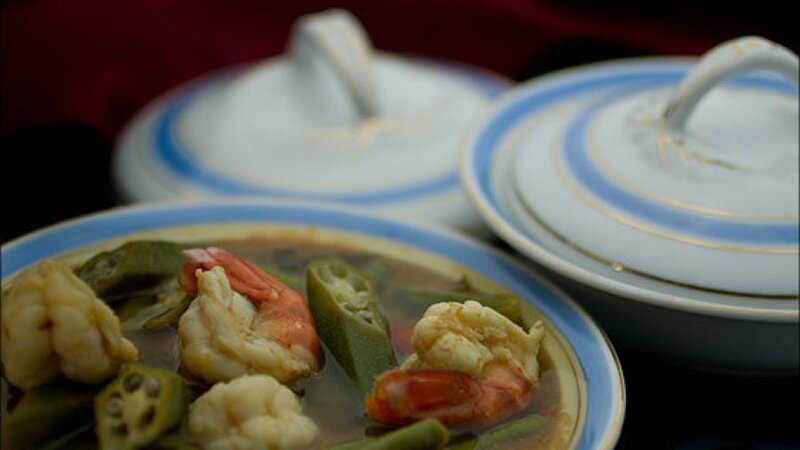 There are the sourness of the tamarind paste, the saltiness of the fermented shrimp paste and fish sauce, the natural sweetness of the prawns and the vegetables and of course the peppery heat from the chilies. 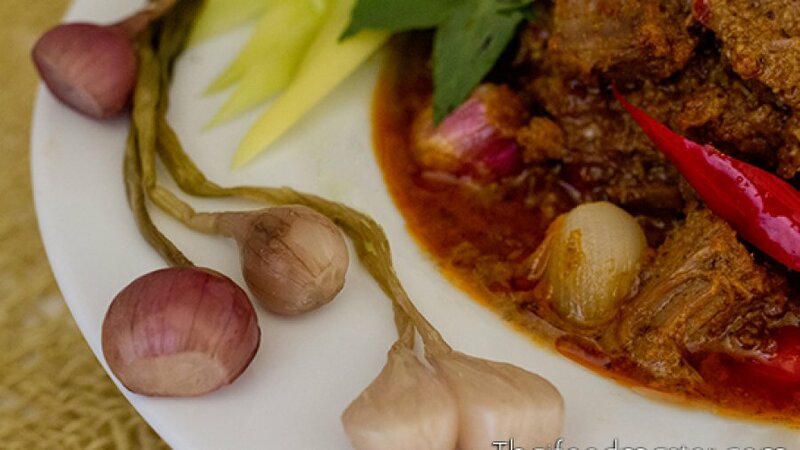 This easy curry paste is as rich as it is simple; the flavor offers a world of depth in a truly innovative combination of flavors. 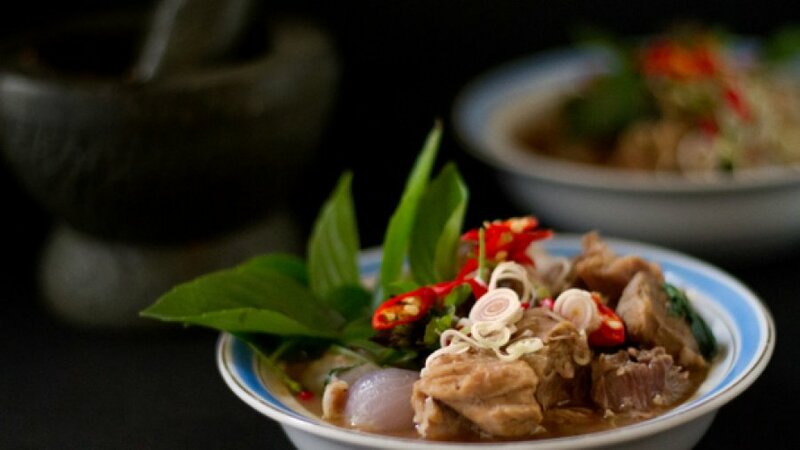 This old-fashioned Thai coconut curry dish is a simple expression made with ingredients commonly available to Thais, it features steamed mackerels – the fish that Thai people probably love the best and the stems of the lotus flowers – one of Buddhism’s most recognized motifs. 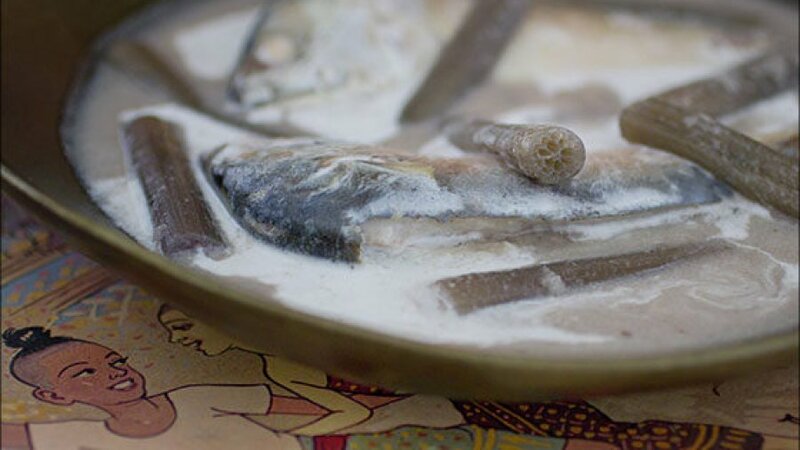 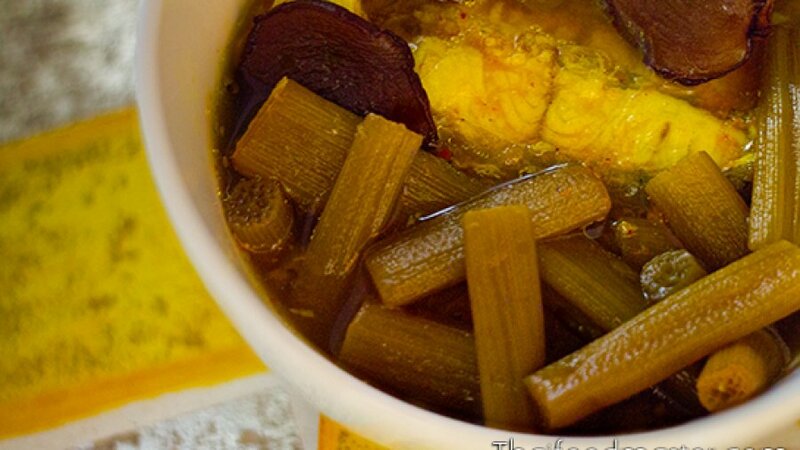 The fish together with peeled lotus stems are boiled in coconut milk, to which a simple yet very aromatic curry paste, made only of white pepper corns, shallots and fermented shrimp paste is added.